Of course you don’t have to partake of the ‘full Irish’ there are plenty of smaller, healthier alternatives such as porridge, drizzled with fresh cream and honey or homemade mueslis and granolas with locally sourced organic yoghurts and fresh fruit compotes. 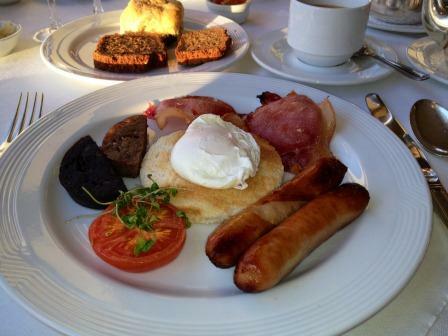 Breakfasts have evolved over the years to visitors tastes, which is why you will find a huge variety on offer. A firm favourite and an Irish Bed and Breakfast’s trademark is its homemade soda bread and fruit scones, which are quicker and easier, put together than a run to the shops. 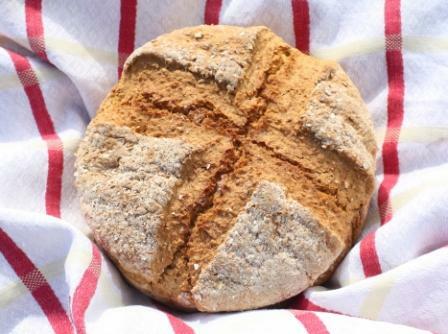 Brown bread, made from wholemeal flour, buttermilk and bread soda was a staple of Irish diets similar to porridge, made from oats, which is enjoying a huge revival due to its high glycaemic index with record sales during the last couple of snowy winters. Many Bed and Breakfast owners can whip up brown bread and scones in a couple of minutes and will be happy for you to watch or join in on a session, but don’t be surprised if they don’t weigh or measure anything, it is a skill that has been passed down through generations which we are more than happy to share. B&Bio find out where to enjoy the best Irish breakfast please click here.